Most people look forward to the Christmas break with thoughts of hearty food and, for some, plenty of alcohol. I found myself extremely excited about the week because it meant that I could run in my first two Parkruns. 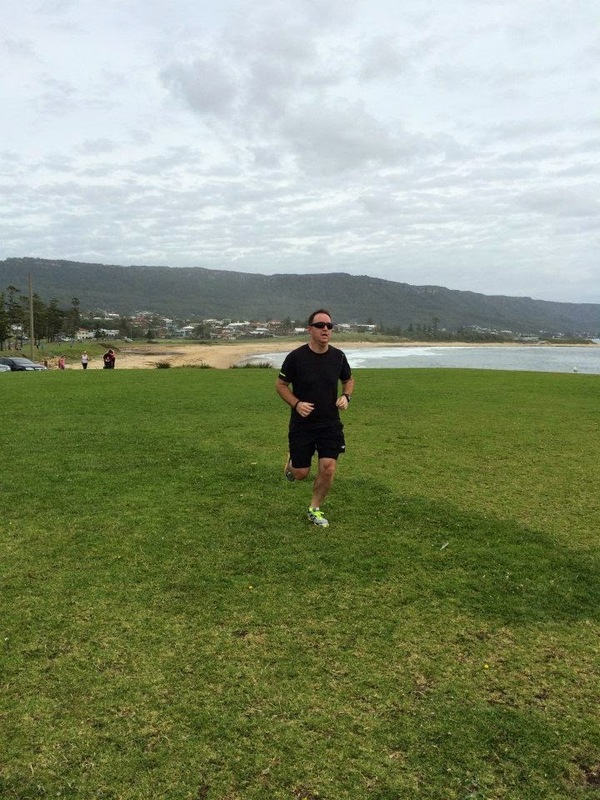 Finishing the 5km off at Sandon Point Parkrun. With Christmas Day being on Thursday, I planned my normal training run for Tuesday and it would be followed by Parkruns on the Thursday and Saturday along with another run on Sunday. The Tuesday training run was an interesting one. It was a warm up run, followed by a timed fast mile and 10 minutes easy to finish. I managed to shave quite a bit off my best mile by running 8:37. It was a nice little pipe opener before a 5km two days later. 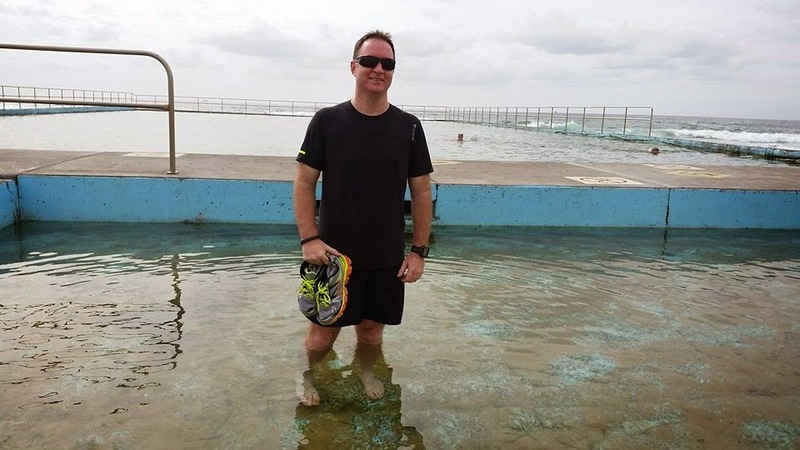 Given the fact that I do most of my running in the afternoon or evening, I was up early on Christmas Day to warm up before a run. I walked two kilometres followed by a 10 minute jog and some dynamic stretching. Having run the course before I had estimated that I would be happy with a run somewhere around the 31-minute mark. I was determined not to get “dragged along” by the pace of other runners early on. After starting, I slipped back towards the rear and was running by feel at a comfortable pace. It was a little scary to know that at the end of that first kilometre, I had gone 5:37, way faster than expected given I was normally closer to six minutes, but I felt fine. Recovering in the local pool after Parkrun. Somehow, I managed to maintain the pace and surprise myself. My official time for the run was 28:27, a minute and a half faster than I had ever gone before. Perhaps all the work was paying off. I headed back two days later on the back of much festive eating and certainly did not feel like I could replicate the run. ﻿﻿To avoid worrying about it, I made an effort to not look at my watch and just run to how my body felt. I never really felt like I was running well during the race but found enough energy to put in a nice last kilometre. My best 5km run to date. ﻿﻿I was in shock when I saw that I had again bettered my best. The time for the 5km was 27:45. I was certainly feeling the effects immediately after the race but was very proud of my achievements in such a short time. ﻿﻿﻿﻿My partner was also improving all the time so we both had plenty to be happy about. We finished off with a solid 40 minute easy run on the Sunday which includes a short but steep grade at around the 4km mark known in the Strava Segment world as "Hamilton Pinch". I managed 6.3km in my 40 minutes at an average pace of 6.23 mins per kilometre. ﻿﻿﻿﻿That bought the week to a total of 24.6km in 2 hours and 34 minutes with an elevation of 110 metres. 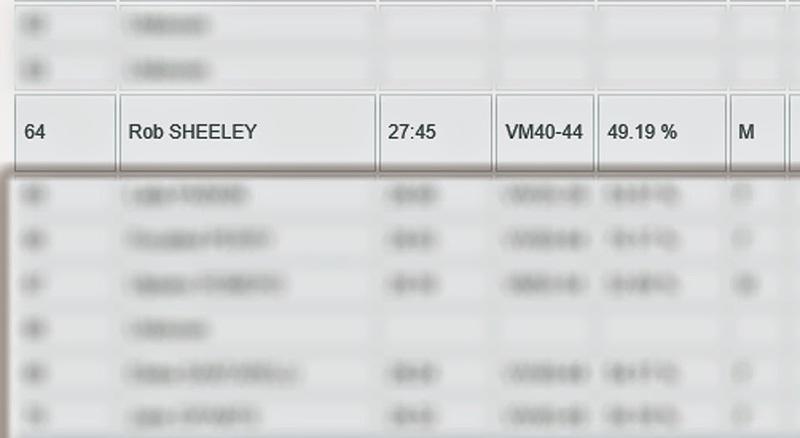 The next Parkrun I will run in is on New Year's Day, it will be interesting to see where I am at in that run.